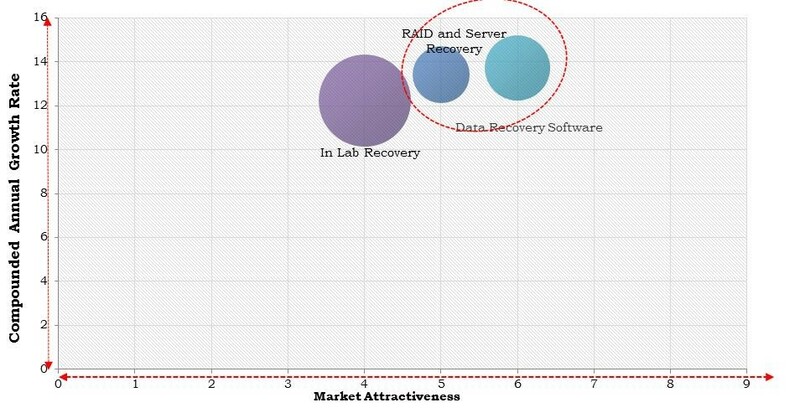 According to a new report North America Data Recovery as a Service Market, published by KBV research, The North America Data Recovery as a Service Market Size would witness market growth of 11.4% CAGR during the forecast period. The US market dominated the North America Data Recovery Software Market by Country in 2017,. The Canada market is expected to witness a CAGR of 14.8% during (2018 - 2024). Additionally, The Mexico market is expected to witness a CAGR of 13.7% during (2018-2024). The Media Storage Recovery market dominated the Canada Data Recovery as a Service Market by Application in 2017, thereby, achieving a market value of $118.6 million by 2024. The Application Recovery market is expected to witness a CAGR of 15% during (2018-2024). Additionally, The Email Recovery market is expected to witness a CAGR of 14.7% during (2018-2024).